The Hobbit: The Battle of the Five Armies – teaser trailer and poster are here! From Academy Award-winning filmmaker Peter Jackson comes “The Hobbit: The Battle of the Five Armies”, the third in a trilogy of films adapting the enduringly popular masterpiece The Hobbit, by J.R.R. Tolkien. Jackson has talked about this movie losing some of the feel of the previous Hobbit movies as it merges into the start of Fellowship of the Ring, which is no bad thing. Just listening to Howard Shore’s haunting music over the trailer has me with goosebumps! Roll on December! Obsessed above all else with his reclaimed treasure, Thorin sacrifices friendship and honour to hoard it as Bilbo’s frantic attempts to make him see reason drive the Hobbit towards a desperate and dangerous choice. But there are even greater dangers ahead. Unseen by any but the Wizard Gandalf, the great enemy Sauron has sent forth legions of Orcs in a stealth attack upon the Lonely Mountain. 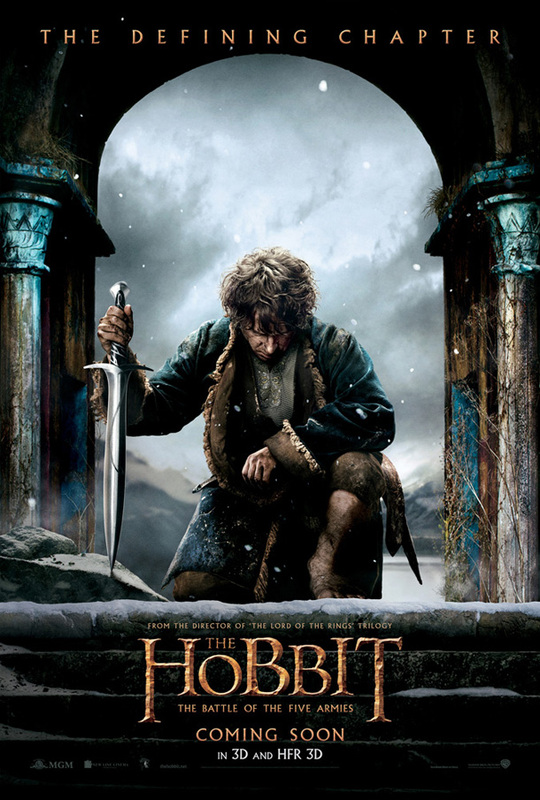 “The Hobbit: The Battle of the Five Armies” is released in UK cinemas 12 December 2014. ← ARROW/FLASH news roundup + Season 3 Trailer with Ra’s al Ghul!